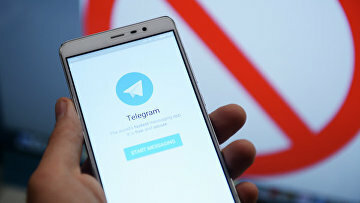 Russian Human Rights Council’s member denounces Telegram blocking | Russian Legal Information Agency (RAPSI). MOSCOW, April 13 (RAPSI) – Blocking of popular messenger Telegram in Russia is a result of a prolonged development of prohibitory legislation, a member of the Presidential Council of Human Rights Ivan Zasursky has said. Earlier today, the Tagansky District Court of Moscow blocked access to Telegram for the whole Russia. According to Zasursky, although there was no scientific basis for the decision, the interests of the state understood as ability to control and monitor information were put above the interests of citizens and their right to privacy and access to information. Still, even with such an advantage in the field of legislation, the “victory” is not guaranteed because technologies allow to bypass any blockings and people may discover alternative ways of information exchange. “We may only hope that sequential enforcement of misguided approaches will sooner or later lead to their review,” Zasursky said. 15:42 13/04/2018 Blocking of popular messenger Telegram in Russia is a result of a prolonged development of prohibitory legislation, a member of the Presidential Council of Human Rights Ivan Zasursky has said.